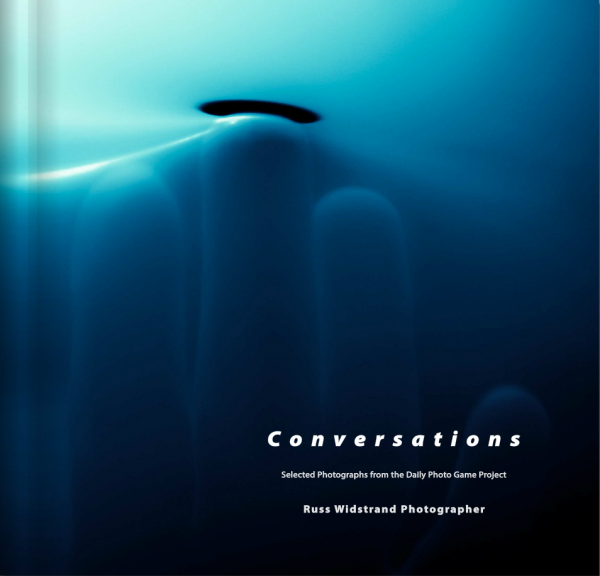 Russ Widstrand's 64 page 12"x12" coffee table book based on his photographic and conceptual conversations with players from the 2013 Daily Photo Game project. When I was first approached in 2013 about the Daily Photo Game concept, I was so discouraged about the photography industry and my personal photography in general, that I shared this vulnerable thought with founding member Eliot Crowley... "I don't pick up a camera anymore for personal work, just for jobs". A sad confession. 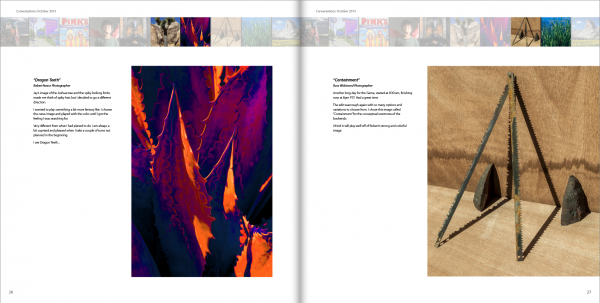 Historically, my passion for photography goes beyond the traditional notions of a photograph. My interest lies in conceptual thought as it pertains to story and process. So when the game began I wanted to bring this orientation to the table, and in doing so, perhaps rekindle my passion in creating the art I have been producing since I was 16. Even at that early age, I was interested in manipulation of process, concept and narrative in photography. Some of my earliest photographs were intentionally shooting the wrong film for the wrong application. This interest in concept and execution has manifested itself most markedly in my photo-illustration work and “The Pear Series” photographs, shot on polaroid film. "Sounds" and "Sounds of Silence": Robert Nease (left) and Russ Widstrand (right) respective photographers. How the Daily Photo Game works: Every 10 days in repeating order, a given photographer's "game day" will arrive. On that day, the photographer will create and post a new image within 24 hours, a visual response to the previous photographer's submission. 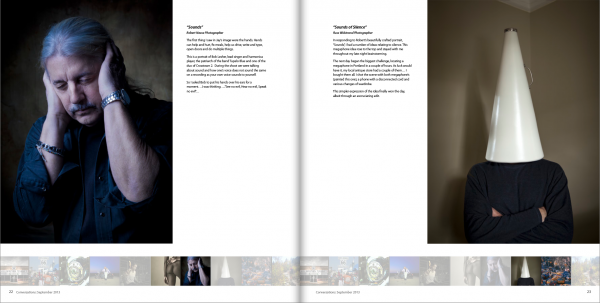 The thumbnail strip shown at top or bottom of the book, represents the timeline of image progression. "Dragon Teeth" and "Containment": Robert Nease and Russ Widstrand respectively. All other DPG supplied photographs are held under copyright by their respective owners, and are reproduced here by permission.